Alfonso Albaisa, Infiniti design chief, seen at Nissan's Global Design Center in Kanagawa, Japan. "People always think I'm gonna make something radical or edgy," he says. "I'm not necessarily like that. I'm just unusual." Infiniti is recharging its attack on BMW and Audi. Nissan's premium brand wants to use the structural changes enabled by the industry's shift toward electric and self-driving cars -- such as a larger cabin and fewer components under the hood -- as a chance to inject a Japanese touch of simplicity and space into its models. That entails a minimalist approach to the interiors, with a goal to cut back on buttons and controls, a la Apple. 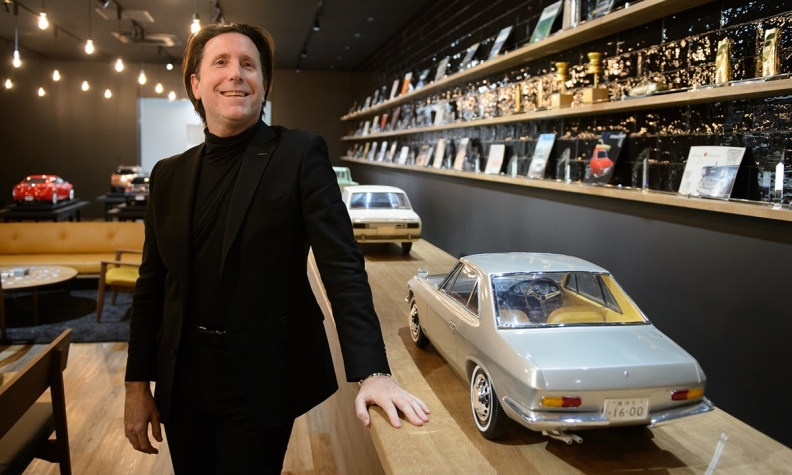 "There's clearly a reduction of mechanical element and that's what's happening with the brand, and that's become an inspiration for us," Alfonso Albaisa, Nissan's design chief, said in an interview at a newly renovated showroom at Infiniti's design center near Tokyo. "That's how we kind of drifted into the Japanese DNA." After trailing German rivals for decades, Infiniti has a mountain to climb to narrow the gap -- BMW sold eight times more cars globally last year. But Infiniti is betting the industry's shift will rewrite the rules, and the automaker envisions half its sales will come from electric vehicles by 2025. A refocus on the brand's Japanese roots is a break from the Latin-flavored design language previously applied by Albaisa, a Cuban-American promoted last year to oversee design for Nissan as a whole from a narrower role at Infiniti. Past models have failed to establish a clear character for Infiniti, giving it an opportunity to reinvent itself, said Ken Miyao, an analyst at consultancy Carnorama. "Infiniti has an ambiguous brand identity and doesn't seem like a genuine Japanese brand," Miyao said. "In the premium world, there should be a place for 'wa' and it should be good to emphasize that," he said, referring to the Japanese cultural concept implying harmony and peaceful unity. The first model heralding the new direction is the Q Inspiration concept, a sedan unveiled at this year's Detroit auto show that has electrified powertrains and autonomous driving technology. Infiniti pruned superfluous features and buttons in the car's cabin, something Albaisa said embodies the concept of "ma," meaning the mastery of serene and open space. A 30-year company veteran, New York-educated Albaisa was a self-described punk in his youth and has designed some of Nissan's more out-of-the-box models, such as the Juke. As the company's first foreign design chief, he's spent the past year learning about Japanese culture, including interviewing traditional ceramics and woodwork craftsmen. "That started to influence the way I think about our work and the way I see technology," Albaisa said. "People always think I'm gonna make something radical or edgy. I'm not necessarily like that. I'm just unusual."